It was only one year ago when Hard Rock International announced a multi-million dollar plan to purchase Donald Trump’s Taj Mahal Hotel. 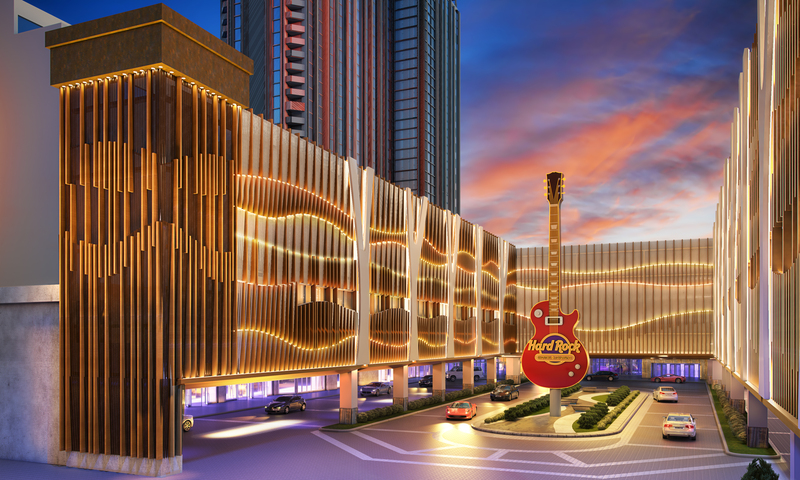 Now, in nearly record time, the new Hard Rock Hotel & Casino Atlantic City is slated to open June 28. 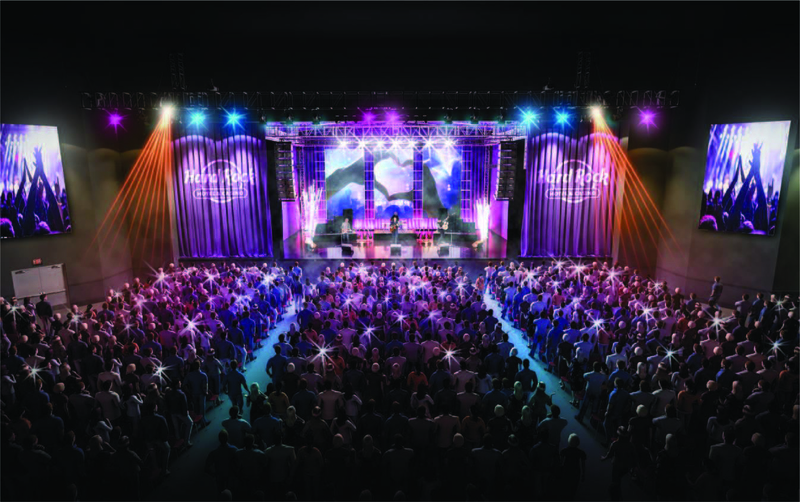 During a press conference April 18 at Hard Rock Cafe in Times Square, Jim Allen, CEO of Seminole Gaming and Chairman of Hard Rock International, announced the 17-acre site includes a 400-seat Hard Rock Café, 150,000 square-feet of event space, 2,200 slots and 125 table games with 2,000 upscale hotel rooms. 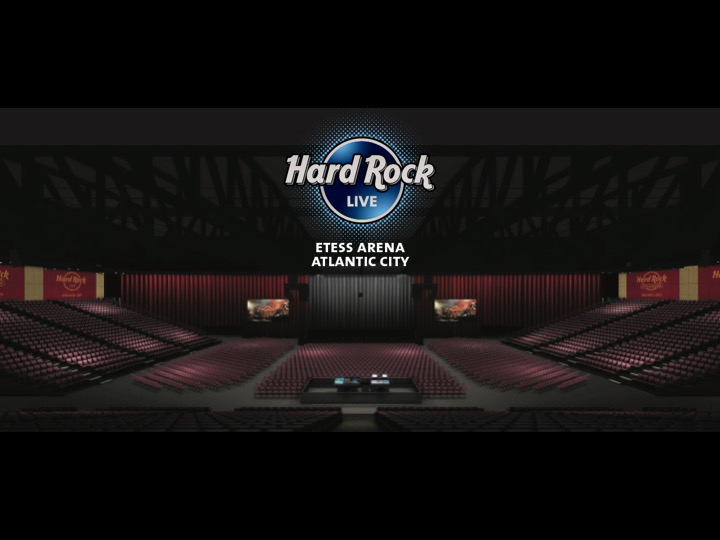 The reconstruction will also feature a Howie Mandel Comedy Club and two separate arenas – one being the Hard Rock Live at the Etess Arena with a capacity of more than 7,000. A video shown at the press conference announced performances will kick off July 5 with Third Eye Blind. Fifty-nine other shows are already available and Allen said that nearly 300 shows are already booked, including Florida Georgia Line, Frankie Valli and the Four Seasons, Stone Temple Pilots, Counting Crows, Steely Dan and Kid Rock. Allen said he was told this was the first known time in history that an entertainment company launched 60 entertainment acts at one time. 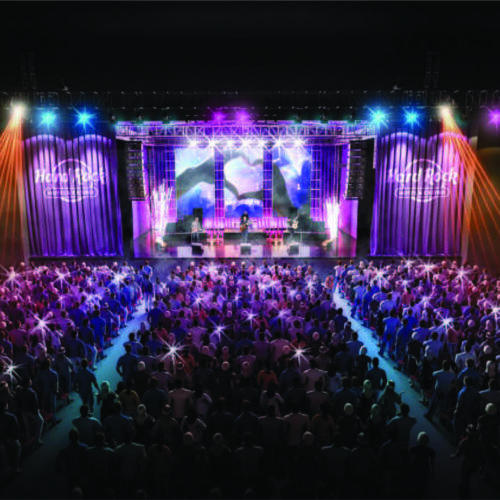 “It shows the commitment that we as an entertainment brand, a hospitality brand, bring to Atlantic City,” Allen said. 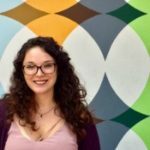 Despite recent reports that tourism in Atlantic City decreased 1.2 percent in 2017, Allen believes the opening of the Hard Rock will help create a significant economic boost. The location has already created 3,000 permanent jobs. Hard Rock Hotel & Casino Atlantic City was originally slated to cost nearly $400 million to construct, but the end result cost more than $500 million. Despite the extra cost, the Seminole Tribe of Florida funded $400 million of the project in cash, paving the way for the new site to be complete with no debt. Before Donald Trump became President, he was the owner of what he called the “Eighth Wonder of the World.” The Trump Taj Mahal in Atlantic City, now known as Hard Rock Hotel & Casino Atlantic City, was built in the ‘90s for $1.2 billion. 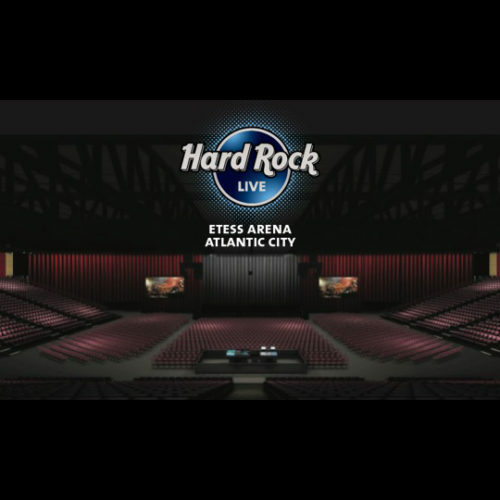 Despite that cost, however, Hard Rock International purchased the estate in March 2017 for $50 million – only four cents on the dollar. The Taj Mahal closed on Oct. 9, 2016 after CEO Carl Icahn failed to make a deal with union workers about health care and pension benefits. Trump forfeited his title with the Taj Mahal in 2009 after it filed for bankruptcy for the second time. 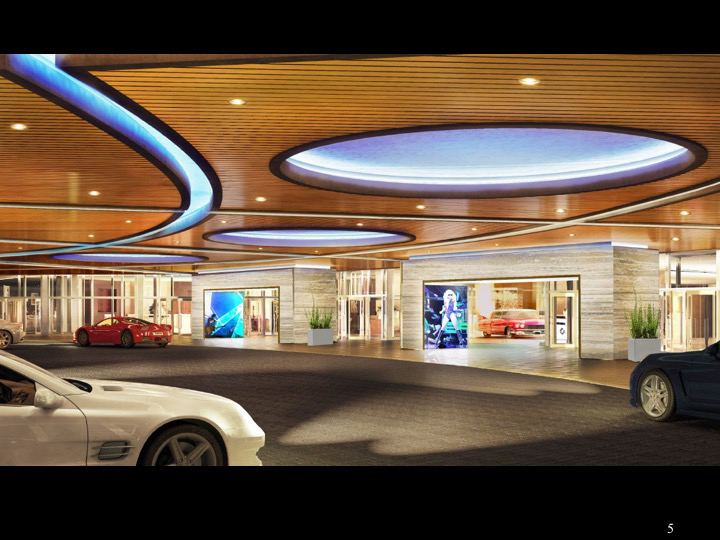 Aside from the structure of the building, the image of the hotel and casino will be completely different. 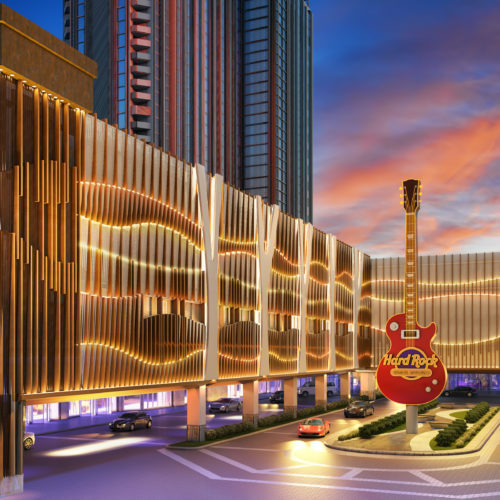 Formerly filled with eccentric colors of magentas and teals, the exterior of the building will now be bronze and feature light shows; in place of the fountain series at the entrance, there will now be an 80-foot Hard Rock guitar monument. 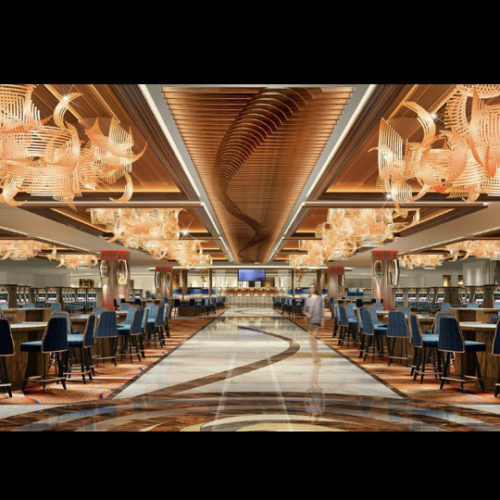 The inside of the casino will feature stone floors. The image will also be personalized for hotel guests. In a new Hard Rock brand experience, guests can opt in to The Sound of Your Stay program, an audio experience that brings a more audio element to an already musically-themed stay. Guests can choose from Tracks, Pics or Wax amenities – which include personalized music playlists, a Crosley turntable with unlimited music selection in the hotel room and a ‘jam session’ kit where guests can reserve a Fender guitar, headphones and amplifier to play music in their hotel room, respectively. Hard Rock hotels and casinos are currently in 75 countries and last year generated approximately $60 billion in global revenue. While the Atlantic City expansion is the closest opening, it is not the last in the near future. 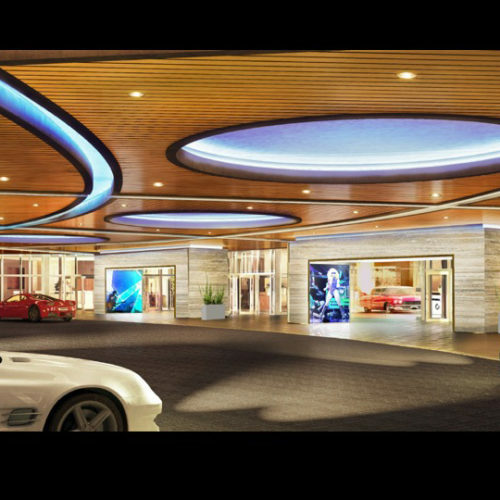 HRI plans to open an additional 32 hotels and nine casinos by 2021. Destinations will include the French Quarter in New Orleans, Maldives and the Swiss Alps, among others. 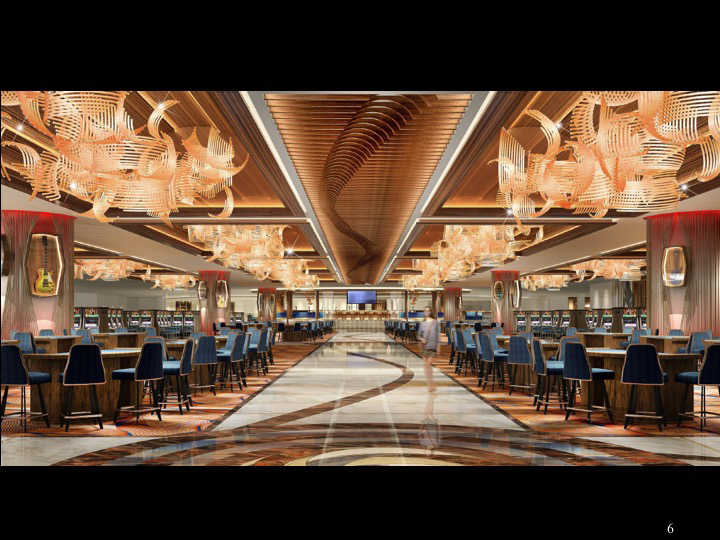 To celebrate the grand opening, Seminole Tribal members will visit Hard Rock Hotel & Casino Atlantic City from June 27-30. Room reservations and more information about the new Atlantic City location are available at HardRockHotelAtlanticCity.com.